Retailer Spar is launching its first major mobile marketing activity, involving a mobile coupon giveaway, as it attempts to engage with a younger target market of 18- to 44-year-olds. 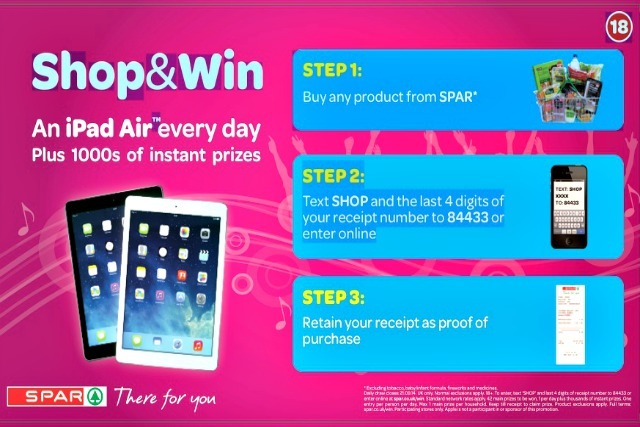 The ‘Shop & Win’ drive targets younger audiences by offering a daily top prize of an iPad Air, along with hundreds of instant prizes redeemable in Spar stores, through partnerships with brands including Cadbury’s, McVities, Coca Cola, Mars and Walkers. The campaign, by agency Blue Chip, will be promoted through TV and radio advertising, social media activity, extensive point of sale and a dedicated website, and run across more than 1,900 of Spar’s UK stores. Product coupons will be sent to mobile winners immediately, using digital voucher partner i-movo. Free products and money-off coupons will run across dozens of products including Cadbury’s Fingers, Alberto Balsam shampoo, Oreo cone ice-cream, Malibu and Tropicana juice. Every day for six weeks, a draw will determine the winner of the daily iPad Air top prize. The target profile of 18- to 44-year olds follows research conducted on behalf of Spar, which revealed that, although Spar has high recognition and loyalty from older shoppers, there is scope for significant growth in other areas. Andy Burt, Spar UK’s marketing manager, said: "This is an exciting time for Spar as it is important that we engage with a younger audience. The deployment of mobile vouchers enables us to ensure that we have a secure method of rewarding our customers. "Real-time reporting also allows us to manage the performance during the campaign. We are confident that the drive will increase footfall into our stores over the coming weeks."